Growing up in Texas Chef Chris Aycock found his passion for cooking at a young age. After graduating from college, the chef honed his skills at the Cordon Bleu Culinary Academy in Portland Oregon. Loving the pacific northwest’s vibe, he resided in and around Portland working at several of the city’s most prestigious restaurants. “Portland was such an upcoming food town and with all the amazing ingredients, we were doing farm to table 21 years ago,” says the chef. During this time he discovered the art of Japanese Sushi and Asian Pacific cuisine which are big influences on his cooking to this day. After the Portland years, Chris moved on to ski country working in Beaver Creek and Vail, Colorado cooking for the likes of Harrison Ford, Tom Hanks, Madonna, Cameron Diaz and President Gerald Ford just to name a few. Belize has been a big part of Chris’ life since 1979 when his father decided to build a house about half a mile north of Grand Caribe Resort. Spending most of his summers and school breaks in Belize, he fell in love with the island and the country. It was in the fall of 2001 that the chef made Belize his home opening Blue Water Grill, a local and tourist restaurant destination on the island and where the first Japanese sushi was available in the country of Belize. Chris has elevated the cuisine on the island utilizing local ingredients and others from around the globe. The chef is also the creator of El Chingon hot sauce, which is popular around the island and catching on abroad as well. With over two decades in the culinary field, leading successful kitchens and owning many of his own restaurant’s here in Belize and in the USA. 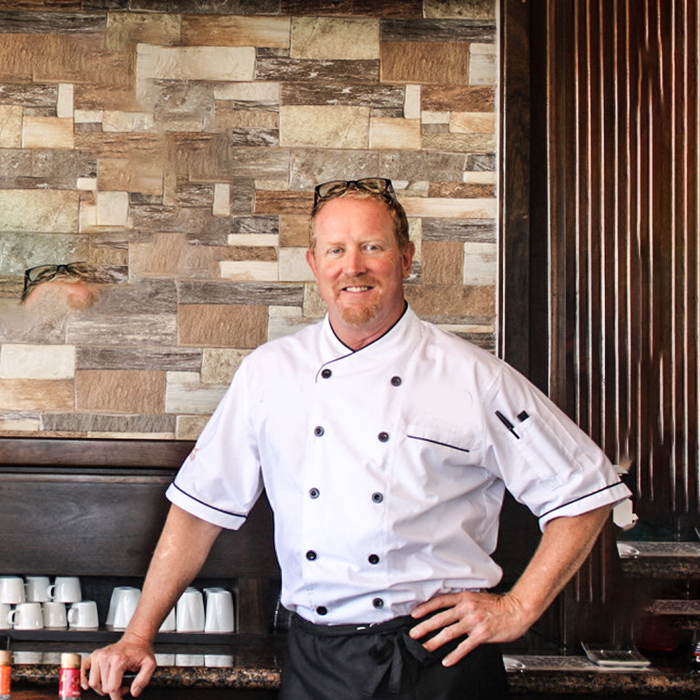 Chef Chris is currently leading the dynamic, diverse, and innovative team here at Grand Caribe. Showcasing an international culinary experience, balanced with his undying pride of his southern `roots.